Image of the Month, August 2018: "A new beginning"
Last month, I released the first image of the series "Image of the month": The Last of Winter. August is already here, and with a new month comes a new Image of the Month: A new beginning. This image is a tribute not only to Multnomah Falls but to all the Columbia River Gorge, badly devastated last year by the Eagle Creek Fire. I spent countless days hiking and photographing the Gorge. It's a very special place to me, and to many more people. When I returned to Oregon in February of this year, I found most places (those that weren't destroyed) still closed due to the fire. 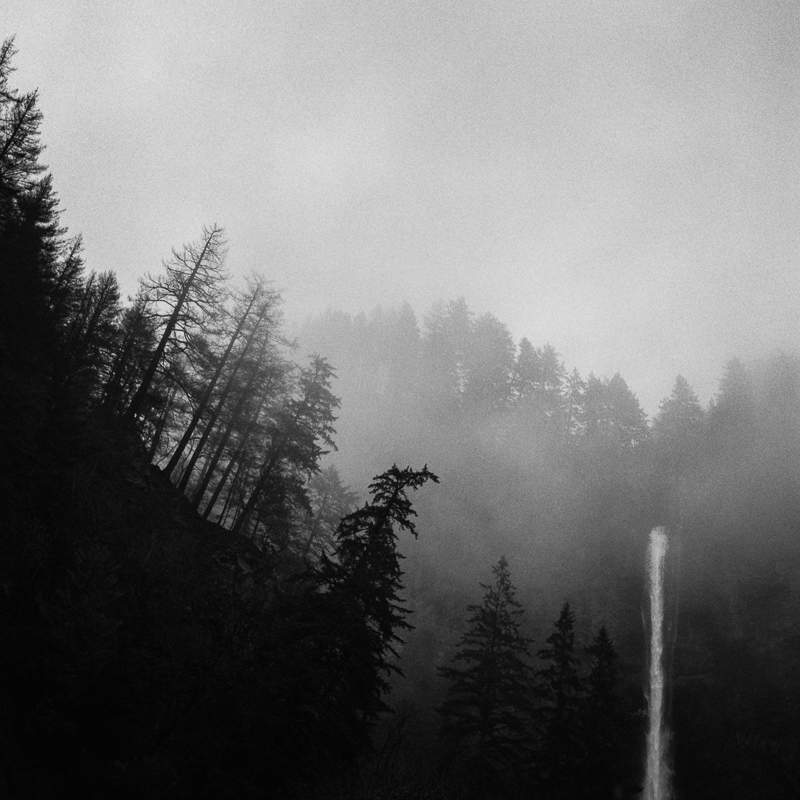 Multnomah Falls was one of them. It was a beautiful gray, rainy day. I love this weather, so does this place. Even here, in a place that was forgiven by the fire, you could see quite a few burnt and dead trees. All this destruction hadn't made it less beautiful and magical, though. There are few things more fascinating than the sight of the fog swallowing the forest, the feeling of the rain falling while looking at a beautiful waterfall like this one, or breathing air so fresh that your lungs can only rejoice. I made this image in these conditions. It is a very special image of a very special place, one I miss so much and can't wait to visit again. It was a moment when the Gorge was being born again. After death, comes new life. It's a new beginning. Do you want it on your wall? A new beginning is available for purchase starting today, at a reduced price only during this month of August. "A new beginning" is available for sale here.